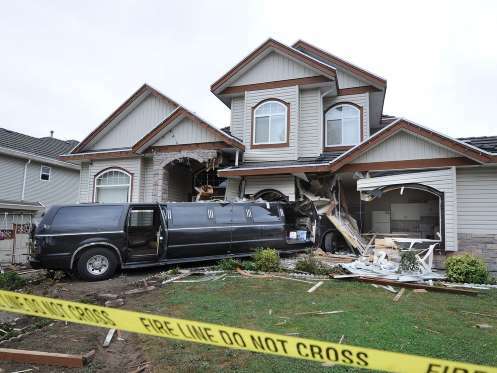 The Vancouver Sun is reporting that a limo crashed into a Surrey home 3:00 AM this morning. Perhaps alcohol was a factor in that accident. Meanwhile back in Brampton, Ontario NDP candidate Jagmeet Singh was heckled by a woman claiming he was Muslim. 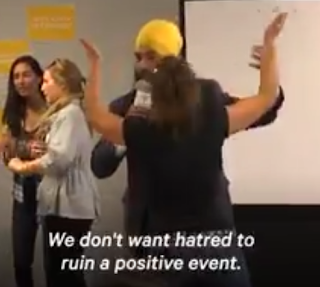 Instead of explaining to her he was Sikh not Muslim he simply said we support love and courage. After the event he explained why he did not simply say he was not Muslim. "My response to Islamophobia has never been I'm not Muslim. It has always been and will be that hate is wrong." Well said. That lady is a mental case. Let's make education great again.